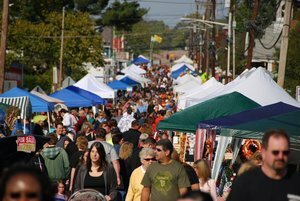 The 15th annual Barrington Harvest Festival is less than a month away, and event planners still are seeking volunteers to help with the event that draws thousands to the borough every October. The basket auction. The Civic Association is planning a bigger auction than ever. The beer and food garden at the fire station, 2nd and Haines, from noon to 8 p.m. The classic car show, including prizes in several categories. Call Jeff Fultano at (609) 929-7596 for details. A children’s area at 2nd and Trenton including inflatable rides, petting zoo, hayride, pony rides and more. 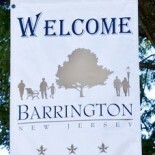 The “Barrington’s Got Talent” showcase, including cash prizes for winners. Anyone may enter and will have three minutes to demonstrate their skills. Those interested in participating will be auditioned ahead of time, so interested parties must send: names/ages of participants, type of presentation, song title (if applicable), length of presentation and contact information to BarringtonHF@aol.com. The BBQ cookoff that has been part of the festival in recent years will not be included in this year’s festival, but organizers hope it will return next year. If you’re a craft or food vendor who wants to take part, call (856) 761-4482 or email HarvestFest@ATT.net. To volunteer for a one- or two-hour shift — or for general festival information — call Megan at (856) 547-5460 or Barb at (856) 217-3924 or email BarringtonHF@AOL.com. After the Harvest Festival, head over to Woodland School to take part in Barrington’s effort to break the world record for the largest egg toss competition. This entry was posted on September 18, 2012 by Barrington Bulletin in Events and tagged harvest festival.